Halve, seed and cut the peppers into one inch strips. 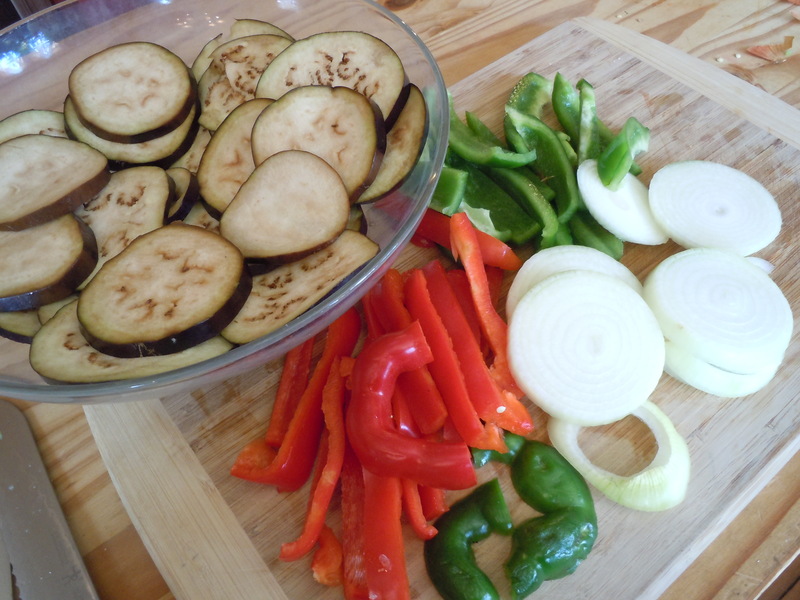 Slice the eggplant horizontally into ¼ inch thick strips. Slice the onion into ¼ inch slices. 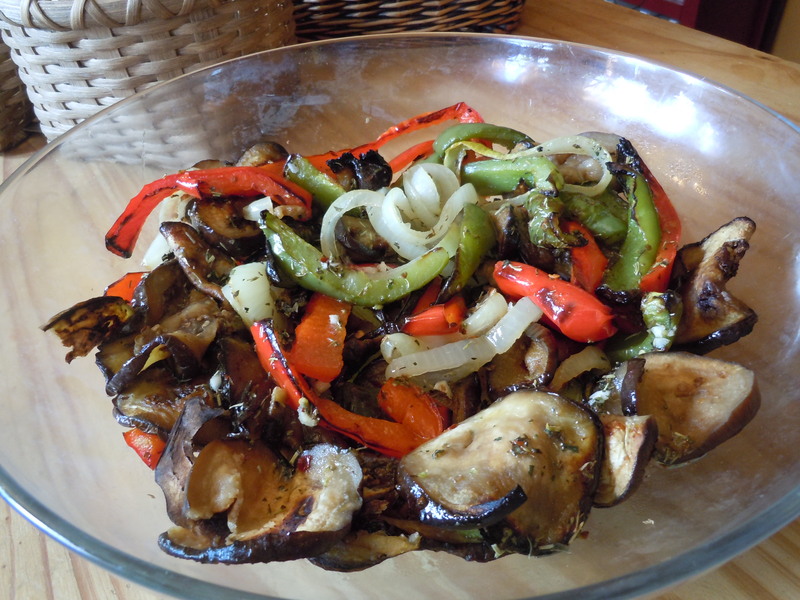 Toss the vegetables in the olive oil to coat thoroughly. Place in a single lay on a large rimmed baking sheet. 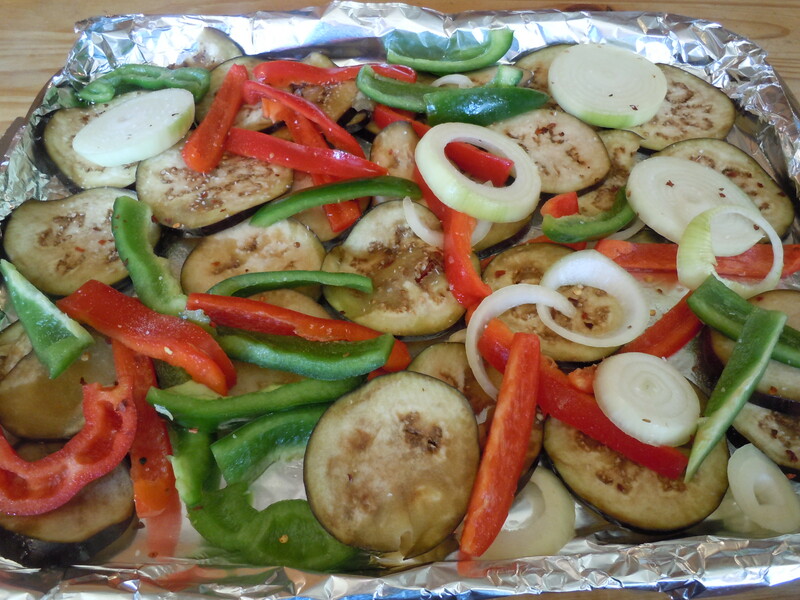 (for extra flavor, season with a bit salt, crushed red pepper and garlic powder) Roast at 450 for 10-15 minutes. Turn and roast an additional 10 minutes. Remove from baking sheet to a large mixing bowl. Add the vinaigrette and let rest at room temperature for at least one hour or until ready to serve. Combine all ingredients in a small jar and shake vigorously to mix.